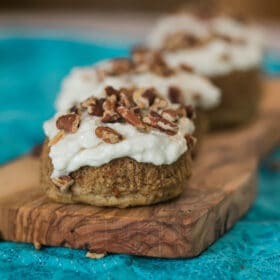 These carrot cake cupcakes are packed with spices and topped with decadent maple-cream cheese frosting, incredibly moist, and cute as a button. 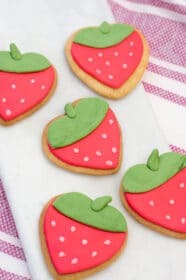 They’re basically the perfect springtime treat! I have always adored carrot cake! It’s been one of my favorite desserts since I was a kid. I know – I was kind of a weird kid. I’ve tried tons of different carrot cake recipes, but I typically find them overly complicated to make. Plus, I don’t love baking a whole cake for just a few people. So this past weekend, I did some experimenting and crafted the single best carrot cake cupcakes that you’ll ever taste! They’re moist. They’re adorable. 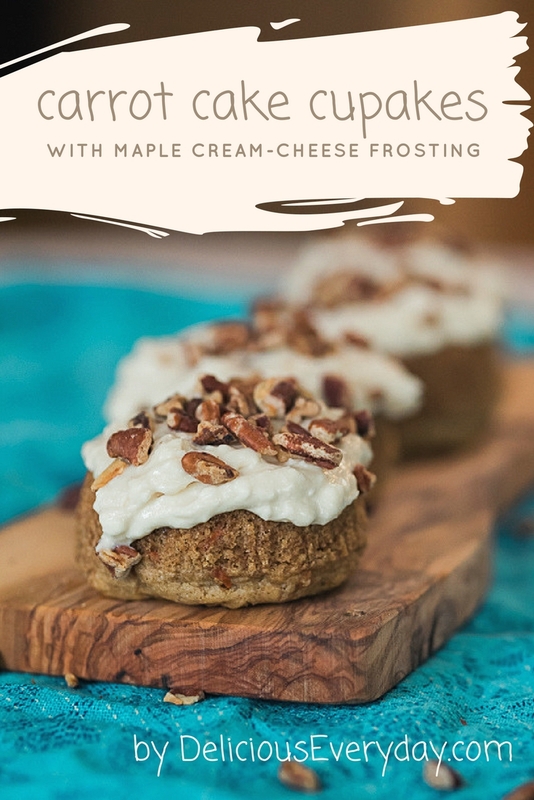 And they’re loaded with delicious maple cream cheese frosting. What’s not to love? Fun fact – carrot cake is thought to be an evolution of carrot pudding, a popular Medeival dessert. Who knew carrot cake had so much history? Let’s Make Carrot Cake Cupcakes! Ready to make some carrot cake cupcakes? You won’t believe how easy this recipe is! First, start off by mixing up the cake batter. Simply whisk together sugar, olive oil, one egg yolk, a few tablespoons of water, and a bit of vanilla extract. When all of that is combined, add in flour, baking soda, and salt. The mixture will start to look like cake batter now! Next, add the spices! For my carrot cake cupcakes, I used a mixture of cardamom, cinnamon, cloves and nutmeg. You can experiment with the spices to find what you like best. 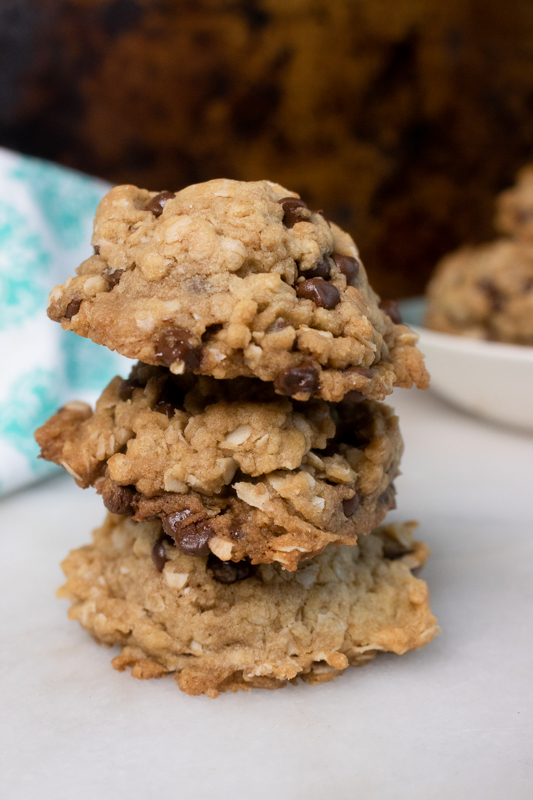 But definitely don’t leave out the cardamom – it’s the secret ingredient! Finally, we mix in finely chopped carrots. And we officially have carrot cake cupcake batter! Check the consistency and be sure it’s to your liking. I like moist carrot cake – so I make sure the batter is still a little runny. 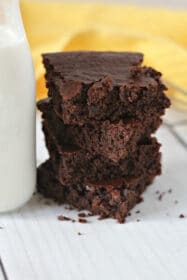 Pour the batter into a cupcake tray – each cupcake tin should be about half full. 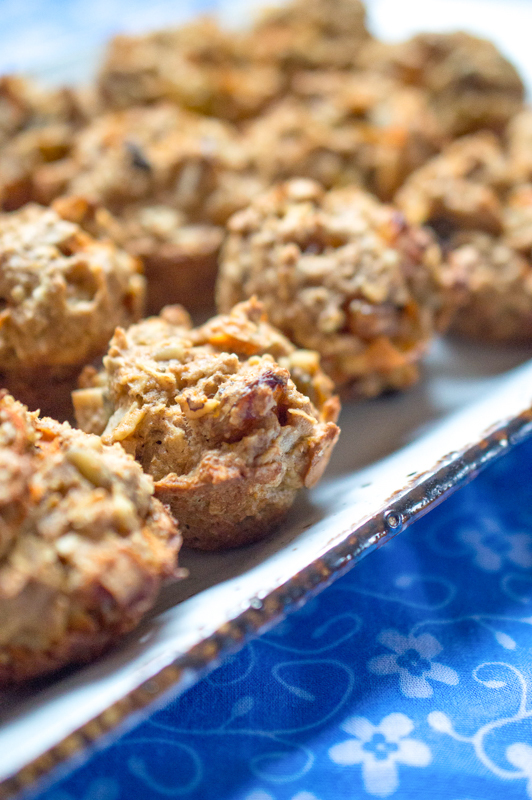 Heat the oven up to about 350 degrees, and bake your mini carrot cakes for about 20 minutes. When the carrot cake cupcakes are done baking, remove them from the oven. 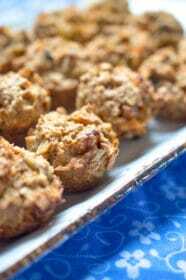 Take a clean baking sheet, and spread chopped pecans in a single layer. Toast them in the oven for about five minutes. Keep an eye on them – no one likes burned pecans! 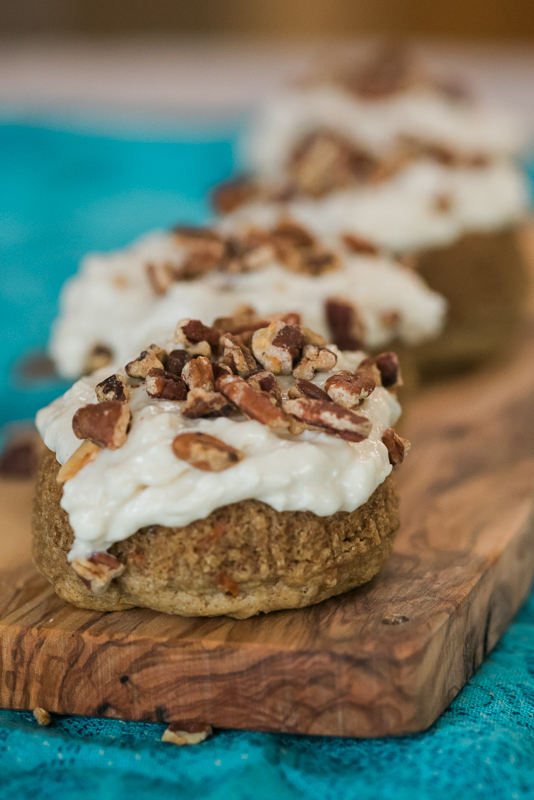 Top each carrot cake cupcake with a generous dollop of the maple-cream cheese frosting and a sprinkle of toasted pecans. If you’re in need of a gluten free recipe, check out my gluten free carrot cake recipe here. And if maple syrup isn’t your thing, check out the cinnamon-cream cheese frosting on this banana cake. It would go equally well with these mini carrot cakes! 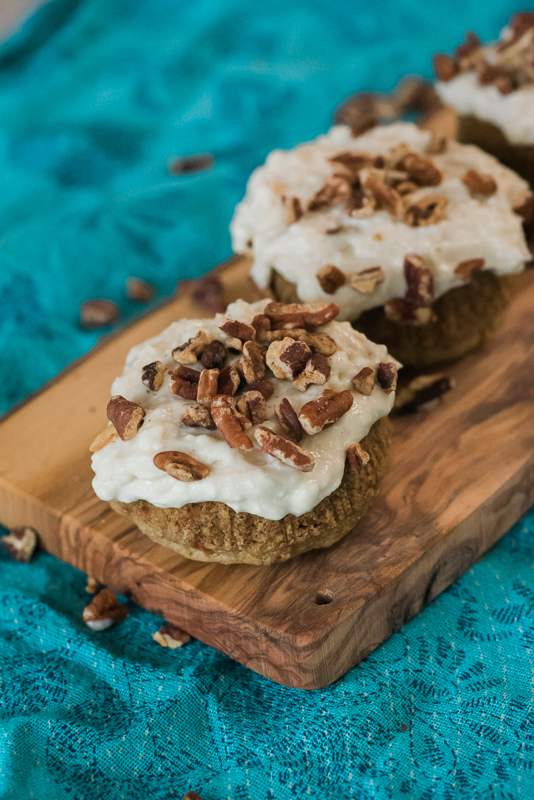 These carrot cake cupcakes packed with flavor from cardamom spice and maple-cream cheese frosting, incredibly moist, and cute as a button. 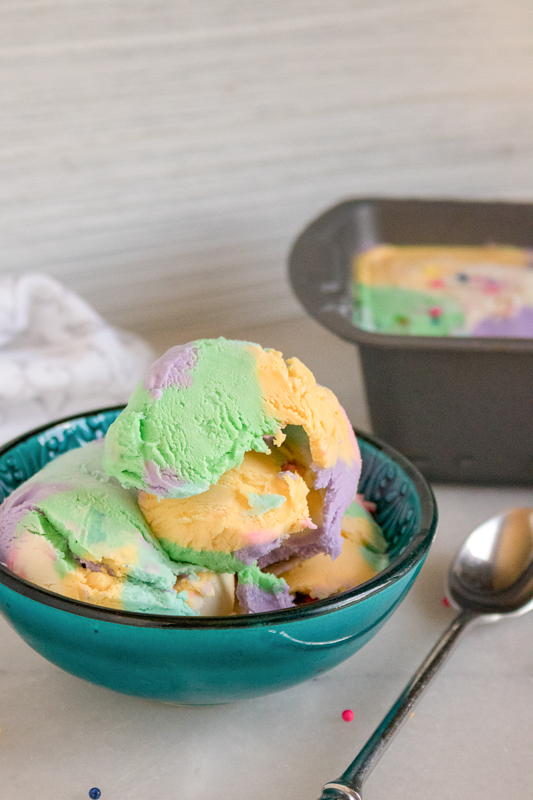 They're basically the perfect springtime treat! Lightly spray a cupcake tray with olive oil spray. Separate one egg, reserving the yolk and discarding the egg white. Set aside. In a medium sized bowl, whisk together the sugar, olive oil, egg yolk, vanilla extract, and 1/4 cup water. In the same bowl, add flour, baking soda, cardamom, cloves, cinnamon, and nutmeg. Add a pinch of salt. Mix well. Pour carrot cake cupcake batter into prepared cupcake tins. Each tin should be about half full. Bake cupcakes for 20 minutes, checking often. Meanwhile, spread pecans in a single layer on baking sheet. Bake in oven for 4-5 minutes, until lightly toasted. Set aside. Prepare the cream cheese frosting. In a medium bowl, mix together the cream cheese and maple syrup. Add a pinch of salt. Mix until well combined and slightly fluffy. Top each carrot cake cupcake with a large dollop of maple-cream cheese frosting. Sprinkle with toasted pecans. And eat! 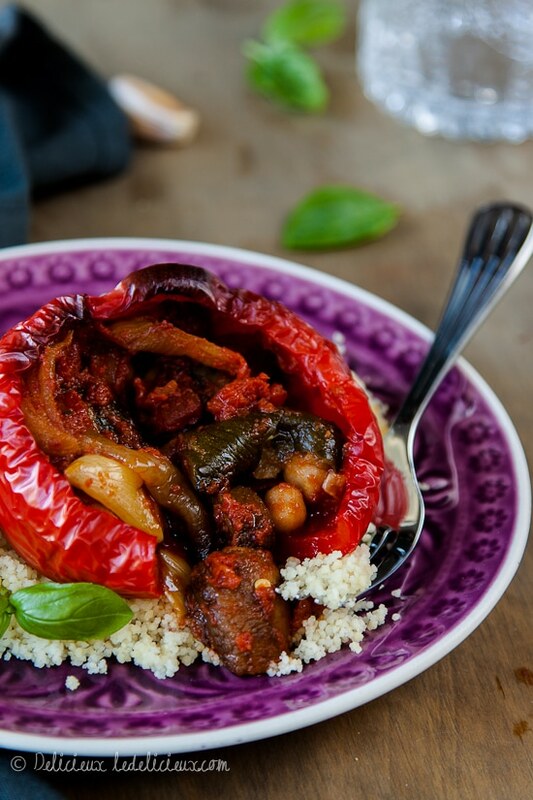 Subscribe to the Delicious Everyday weekly newsletter. You will get my complimentary guide to vegetarian pantry essentials, and you’ll never miss another recipe!